You know you are getting a great range of metal switches and sockets, especially in the elegant black nickel finish. The range includes: metal light switches, dimmer switches, single and double sockets, USB sockets, isolator switches and much more. 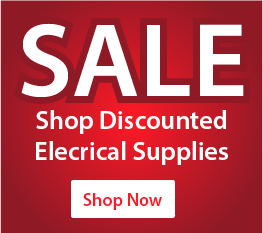 Browse here at Sunny Electrical Supplies for more. The BG NPC12 is part of the BG Nexus Metal range. The BG Nexus Metal NPC12 is a 1 gang 2 way light switch finished in polished chrome. The BG NPC15 is part of the BG Nexus Metal range. The BG Nexus Metal NPC15 is a fan isolator switch finished in polished chrome. The BG NPC12 is part of the BG Nexus Metal range. The BG Nexus Metal NPC43 is a 3 gang 2 way light switch finished in polished chrome. The BG NPC21W is part of the BG Nexus Metal range. The BG Nexus Metal NPC21W is a 1 gang double pole switched single socket finished in polished chrome. The BG NPC42 is part of the BG Nexus Metal range. The BG Nexus Metal NPC42 is a 2 gang 2 way light switch finished in polished chrome. The BG NPC44 is part of the BG Nexus Metal range. The BG Nexus Metal NPC44 is a 4 gang 2 way light switch finished in polished chrome.